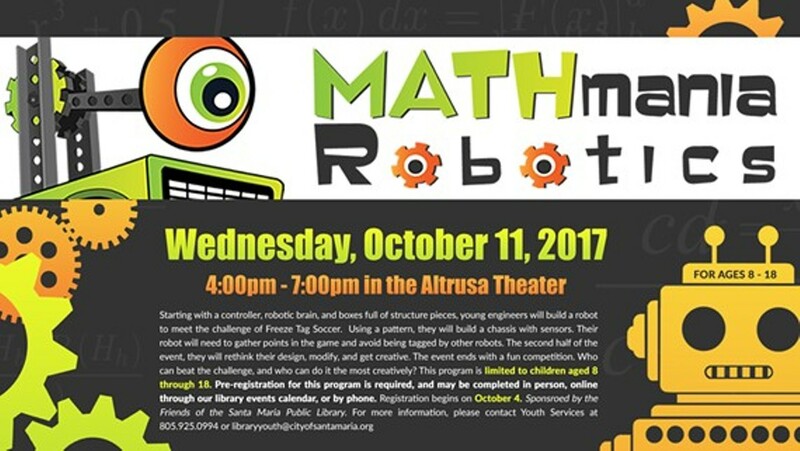 MATHmania Robotics will be at the library with a freeze tag soccer challenge for kids aged 8 through 18. Participants will build a robot to meet the challenge. Registration recommended.